That’s the question my friend G. asked me today. She’s just a few years older than me and has had a dozen strokes; the doctors don’t know why. She struggles with words — fidgets with her hands as if trying to create words out of invisible clay — and her short term memory is shot. But she gets poetry. 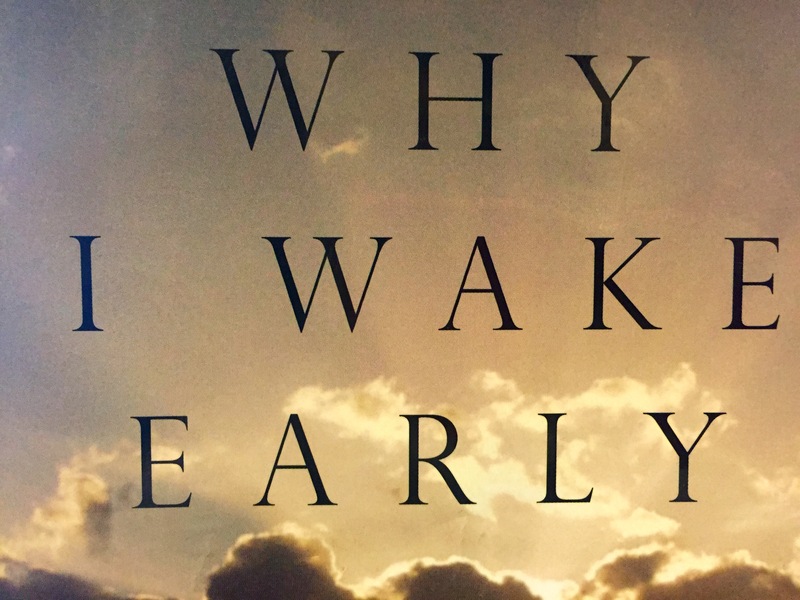 During my visit today, I brought along “Why I Wake Early” by Mary Oliver, the poet known for revealing the marvelous in her minute observations of nature. For some reason, I’d dog eared the poem “October.” When I started to read it, I immediately thought I’d made a mistake. It’s written in seven numbered sections with abstract imagery in which Oliver seems to hover above a scene. Gail was intrigued, had me read it seven times. As she listened she closed her eyes, enraptured. When I read “Peonies,” she picked up on the phrase “beauty the brave,” and repeated it over and over. That one we read three times. Then “Goldenrod.” She loved the language of it, the assonance of “rumpy bunches,” the alliteration of “dumb dazzle.” She rolled the phrases around in her mouth like marbles. I don’t know how many times we read that one. When I read her the last few lines, in which the goldenrods “bend as though it was natural and godly to bend,/they rise in a stiff sweetness/in the pure peace of giving/one’s gold away,” I told her that she has gold to give — her unfettered love and sense of humor. Though her abilities have changed, her value has not. If anything she is more cherished than ever by those who love her. We almost didn’t make it past the first line of “Blue Iris”: Now that I’m free to be myself, who am I? Each time I started down the 15-line poem, she laughed and stopped me. Why don’t more people write poetry, or at least read it?